He bagged the Best Actor in a Comedy and Entertainer of The Year awards at last night's Critics Choice Awards. And during his acceptance speech Ryan Reynolds revealed his two-year-old daughter James' first full sentence was inspired by Tom Hanks. 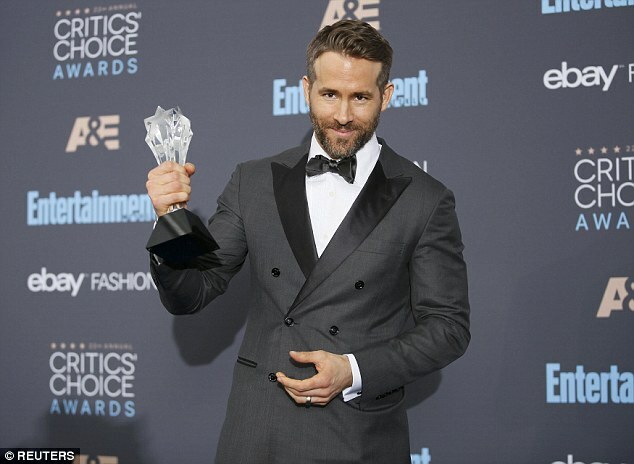 The 40-year-old actor gushed about James - who he shares with wife Blake Lively, 29, during his acceptance speech for Best Actor in a Comedy for 'Deadpool' at the Critics' Choice Awards on Sunday night. Speaking to the star-studded audience, he laughed at how her first ever sentence was 'There's no crying in baseball', the famous catchphrase the 'Sully' star says in the comedy film 'A League of Their Own'. 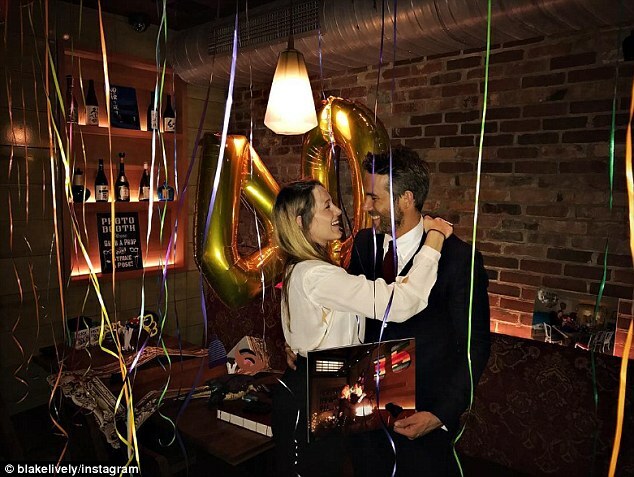 Speaking on stage at The Baker Hangar in Santa Monica, California, Ryan - who also has a five-week-old daugther, with his spouse Blake - said: 'I genuinely was not expecting this, I prepared nothing. So, I'm just going to focus on Tom Hanks. The 'Proposal' star also picked up Entertainer of The Year and dedicated the prestigious accolade to cancer charities Make-a-Wish Foundation and the SickKids Foundation of Toronto as his character has the life-threatening disease in the film. In a heartfelt speech, he said: 'Deadpool' was an 11-year odyssey for me to get up here, and it resonated with a lot of people. The hunky star also praised the screenwriters of the film for their hard work and used the moment to highlight how 'undervalued' the writing job is. He said: 'I'd also like to take this chance to thank the screenwriters, not just the ones on 'Deadpool', but the ones everywhere,' he said. 'It's a hugely undervalued asset in Hollywood: they're architects, they make us look good, often times their jobs are very hard. 'They're alone in rooms in their underwear, weeping softly with their tears working as lube for their old fashioned typewriter machines.